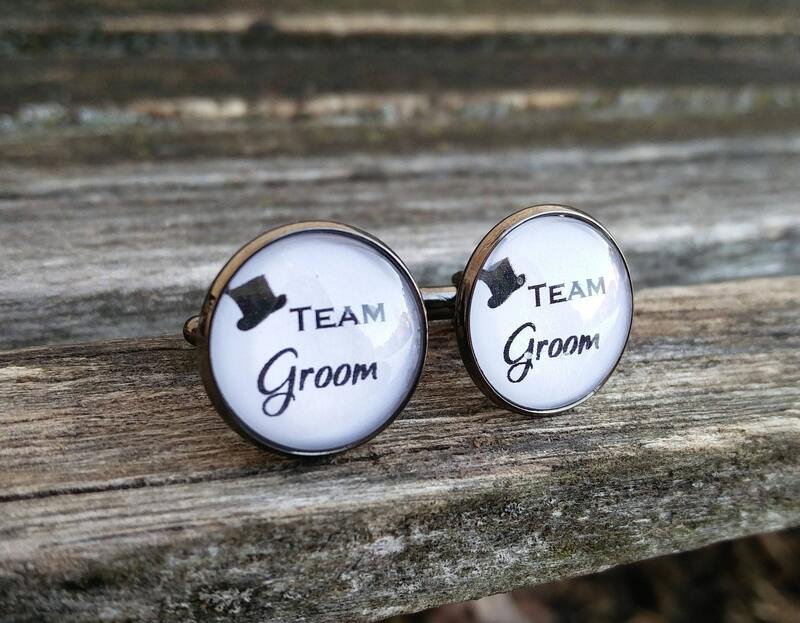 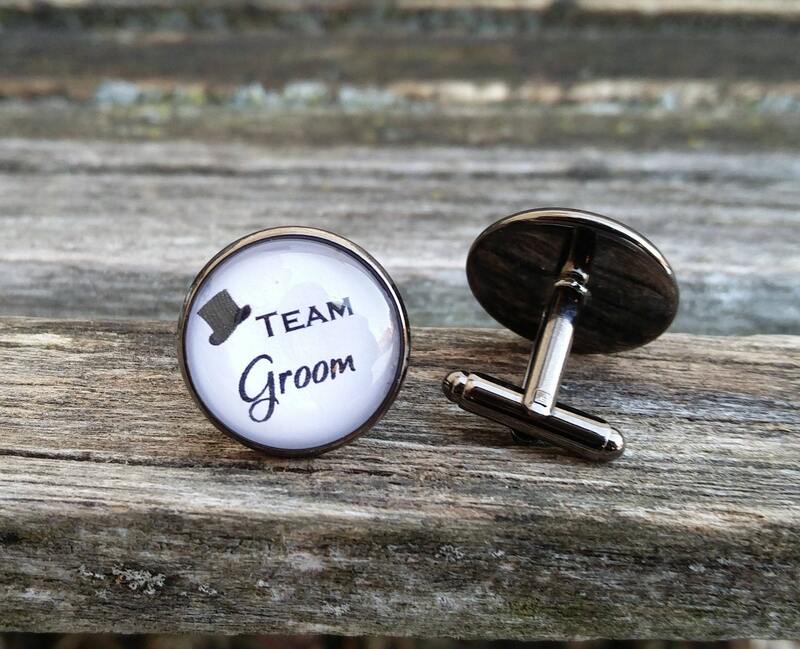 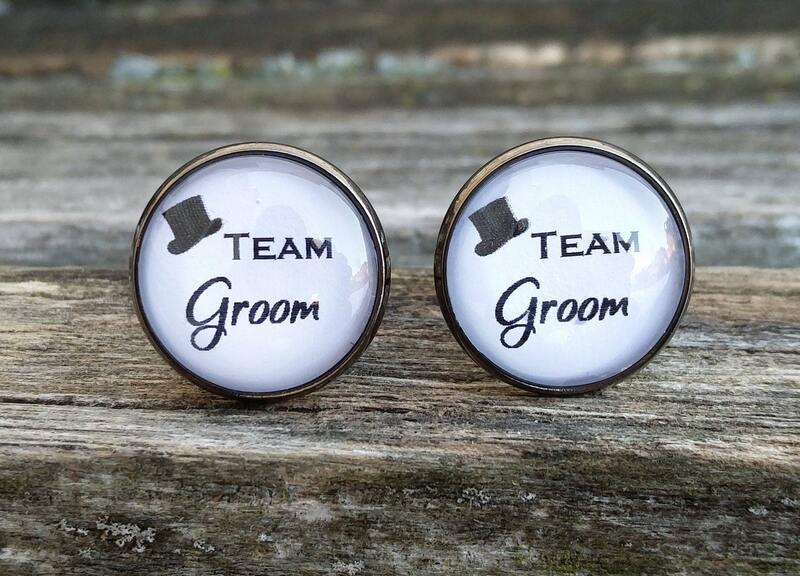 These cufflinks are perfect for a groomsmen gift. 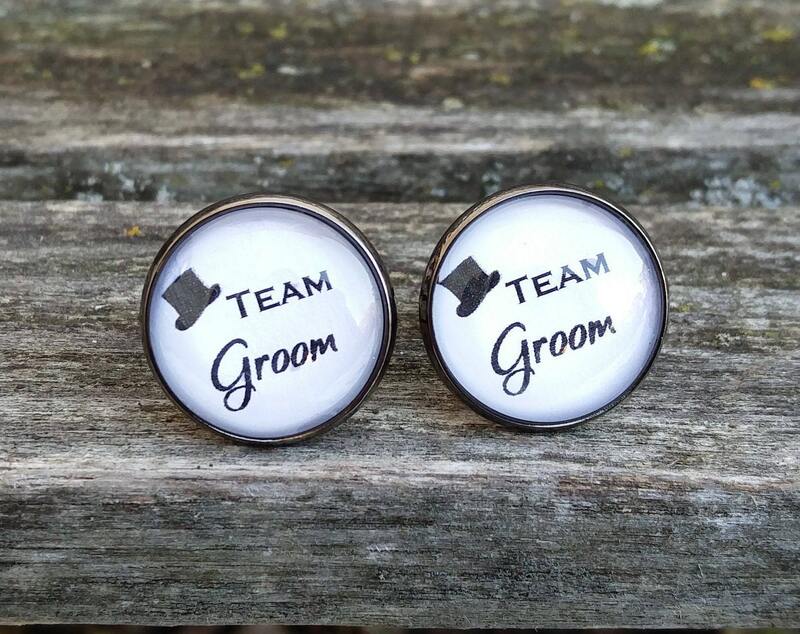 They say "Team Groom" and have a little top hat. 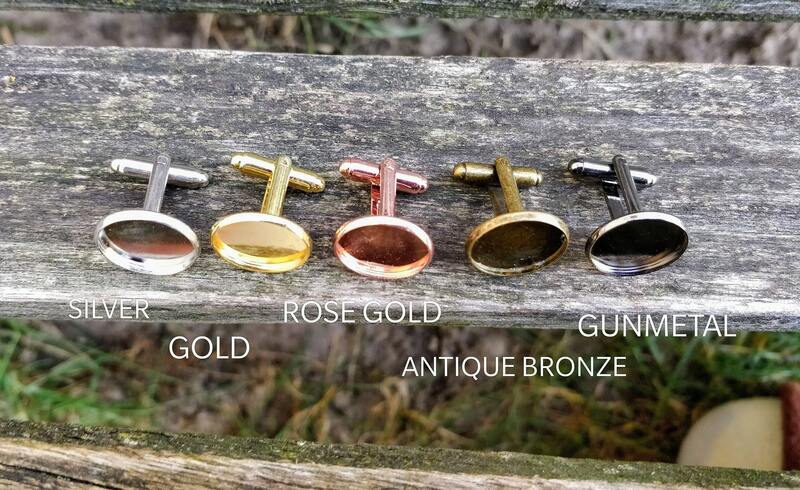 They measure 20mm and you can choose from multiple colors at checkout. 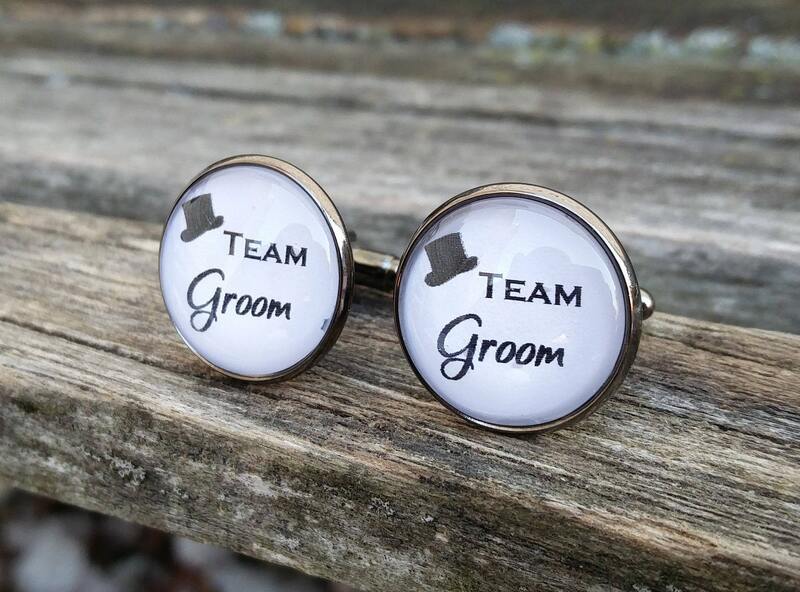 These are perfect for any wedding!